And so this year’s Chamber Choir has met for the first time; after weeks of preparation and two days’s worth of auditions, finally comes the time actually to get to grips with the repertoire, not to mention getting to know the group. For a group finding its feet for the first time, our first rehearsal was somedeal astonishing; having chosen the first few pieces with which to begin, we ended up rehearsing five works in total, rather than just the three I’d selected (so much for breaking the group in gently!). Our first musical steps were into Handel’s Hear Thou My Weeping, in an arrangement for four-part choir by Desmond Ratcliffe, a setting of the Ave Verum Corpus by Saint-Saëns (rather than its more famous incarnation from Mozart), and a look at two sections of the piece written by Yours Truly for the December concert. And not content with those, we also looked at one of a series of four Forgotten Children’s Songs, which I’ve written for choir and percussion for the February Crypt concert, and a setting of Cantate Domino by Pitoni, a lively piece which will open the same concert in an uplifting and a decisive fashion. This year’s student conductor, Emma, led the group in some lively physical and vocal warm-up exercises to get the rehearsal underway; she will be leading the choir in rehearsing one of her chosen pieces next time. This entry was posted in In rehearsal and tagged Crypt Concert, Handel, Pitoni, Rehearsal, Saint-Saens on October 7, 2012 by Daniel Harding. As a companion and a contrast to the Saint-Saens setting of the Ave Verum Corpus, the Cecilian Choir today began rehearsing Mozart’s setting of the same text. 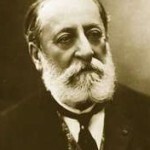 Two very different treatments of the text: Saint-Saëns’ quite straightforward response to the words, Mozart’s much more lyrical and impassioned. I find programming two contrasting settings of a piece of text to be a interesting feature of concert-planning; each throws up facets of the other that listeners might not have otherwise noticed, or be able to compare a setting they might already know with one they’ve not heard before. We gathered in the round – Circle Time! 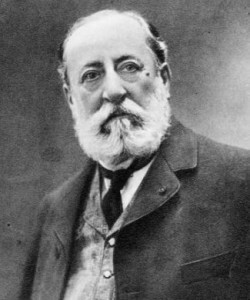 – to sing the Saint-Saëns, and also to re-visit the plainchant ‘Ubi Caritas’ and Duruflé’s setting from last week. We took the plainchant more slowly than we have done before; I find that slowing pieces down just a little opens up a conversely larger amount of space in music – there’s time to really feel the phrases finish, to let the notes die away in a resonant acoustic before moving on. Getting the choir to stand in a circle really makes for a rich sound; suddenly, people can hear and relate to other voice-parts moving that they hadn’t previously really been aware of; they also feel more a part of the collective whole, rather than standing strung out in two lines as we are when we are seated in rehearsal. We’ve now got so much sheet music that we’ve had to resort to folders for everyone to be able to keep all their music together: a sure sign that the choir are able to work swiftly through repertoire and a tribute to the ease with which they pick new pieces up quickly; good news, indeed! 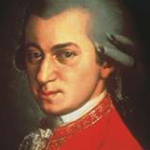 This entry was posted in In rehearsal and tagged Cecilian Choir, Mozart, Saint-Saens on February 3, 2011 by Daniel Harding.